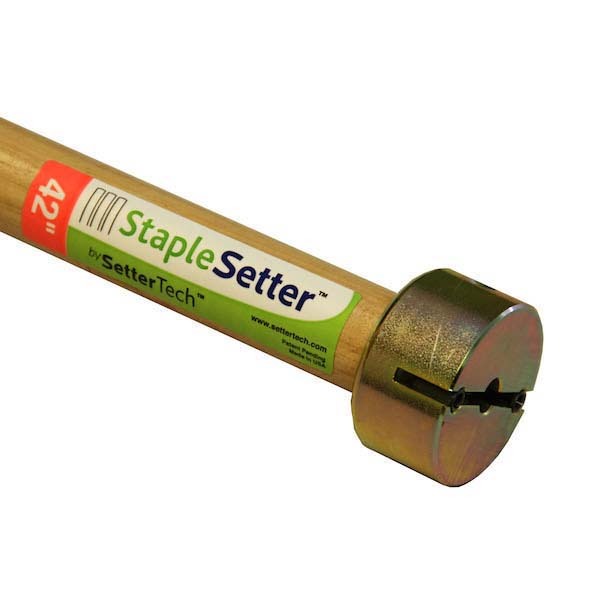 The StapleSetter™ is designed to take the bending out of erosion control staple installation. The tool has no moving parts and is designed to install one staple at a time. Usually workers wear tool belts with heavy duty pouches to hold the staples and then they just walk along and install staples. If the box of staples is strategically located on the tailgate of the work truck the worker will not have to stoop over all day. 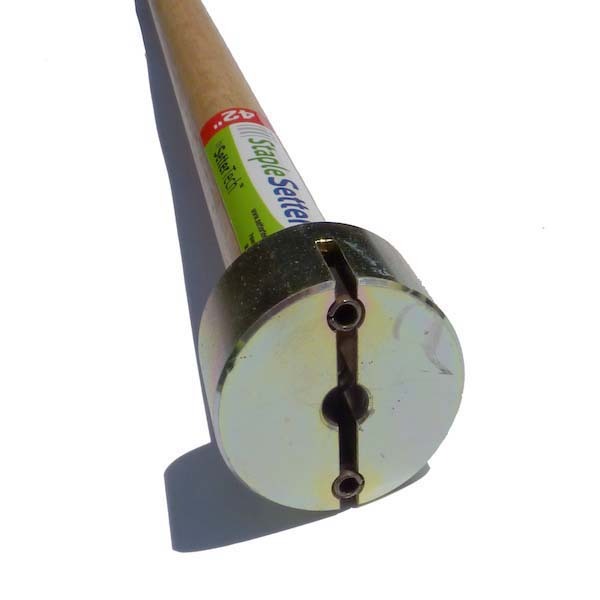 This staple driver features a recessed magnetic grip that securely holds the staple in place as it is being driven into the ground. Quickly and easily install erosion control blankets, landscape fabric, and geotextile fabric. 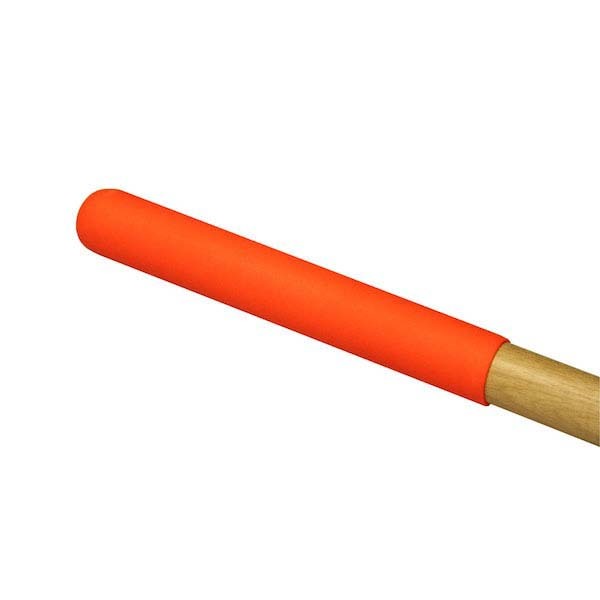 Perfect for use in wet areas, rough terrain, steep slopes, ditch banks, and tight spots. 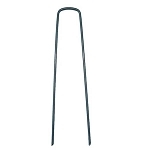 Use with 1” wide U-shaped 11 gauge steel staples of any length. Overall Tool Length: is 42”. The StapleSetter is designed to install the normal 1” wide 11 gauge wire staple. This tool does not require special staples or the use of single pins. The StapleSetter will not jamb and is easy to clean with a staple. Copyright Plantra, Inc. All Rights Reserved.